NEW BEDFORD, Mass. – Southcoast Health today announced it was awarded a $496,209 grant from the United States Department of Health and Human Services as part of its Youth Empowerment Program II. The Youth Empowerment Program aims to address unhealthy behaviors in minority males and assist them with developing skills to make healthier life choices. 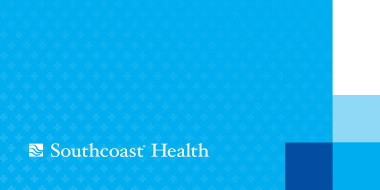 Southcoast Health is one of only 16 organizations nationwide to receive funding through this program. Southcoast Health will be introducing this opportunity as the PRIDE (Personal Responsibility through Intentional Development and Engagement) program. This opportunity will be available for minority male youths, ages 12-15, in the greater New Bedford area. The PRIDE program is free of charge and is actively seeking to enroll 100 participants. PRIDE will offer adult skills preparation, individual sports training, self esteem building and cultural exploration. Young men will participate in educational and recreational activities designed to help them develop into healthy and successful young adults, noted Guilbeault. Participants will meet once a week for the next three years starting in January. The RAPPP team will provide health education and risk reduction, mentoring and tutor services with licensed Massachusetts teachers, and financial literacy education. Field trips and community service activities will also be a part of the curriculum. The program is free and transportation is provided for all services. For more information or to enroll a child, please call the RAPPP office at (508) 995-0306.